As I prepared to write this column, I thought it was going to be one of the easiest. What I soon realised was that this is probably the most difficult to write, not to mention maybe the most important. The reason for this, as I discovered, was because it was about principles, it is about the philosophy of cooking, it is about understanding the chemistry of food. How does one for example, explain the whys and wherefores behind a religion in one easy lesson? Describe all its doctrines, etc that are based on hundreds or thousands of years of work. So please bear with me. Read the column and I am sure you will not only find it most interesting but learn a lot also, and hopefully increase your cooking skills greatly. So, cooking without recipes! We do it all the time, probably without even thinking about it. When, for example, did you last use a recipe to cook your Sunday roast, a cottage pie or any other dish you prepare on a regular basis for the family? Good cuisine, great dishes are about the foods we use, the quality of them and the combinations in which we use them. Why have all the classic dishes stood the test of time, like Seafood Mornay, Lobster Thermidor, Irish Stew, Beef Bourguignon, Chicken Chasseur, Sacher Torte and so on? Why do these work and remain classics? It is because great ingredients have been combined in a great fusion, a marriage of flavours. Sometimes recipes are required and indeed essential so dont get me wrong . . . use recipes when required, when needed. But there are times when a full recipe is not required, a list of ingredients will often be sufficient for the professional chef or the enthusiastic amateur cook. In fact sometimes, the request is so specific with regard to the list of ingredients, it makes me wonder where the list came from. Perhaps a dish they had at a restaurant, at a friends place, read from the side of a packet . . . where? How does one come up with a recipe for a dish that is very generic or you are just given a description of the dish with a list of ingredients? Such as the above filo pastry dish whihc I received a request for recently. Most of the time I cannot supply a recipe for such dishes because, unless by sheer coincidence I have a recipe for such a dish, the only way I can send a recipe is if I go and get the ingredients, try it for myself, design the dish and recipe, weighing everything as I go, etc. The only way around this is to supply people with guidelines and that is cooking without recipes! For the person who does little cooking I realise this can be a daunting prospect. But for those with a taste for adventure, for those that can embrace a new idea, it leads to a lot more freedom in the kitchen. A step closer to cooking without recipes and cooking the way many professional chefs do, by relying on their senses, all their senses - taste, touch, smell, sight, sound and maybe one of most important senses, common sense! This is a concept that is simple but difficult to implement, to teach people how to cook in this way and get them to let go of the structure of recipes. I always liken it to that classical movie moment in Star Wars when Luke Skywalker finally lets go and starts to rely on the Force. How thick should a sauce be? As thick as you need it to be, as thick as you like it to be . . . if it is too thin then thicken it up, if it is too thick then thin it down. What do you thin it down with? Whatever liquid you used to make it in the first place - milk, stock, etc. Water will not only dilute the consistency but the flavour also. How much dill should go into a dill sauce? How much cheese into a cheese sauce? As much as is needed. Start off with a little, a light sprinkling, allow the flavours to mingle for a while, then taste and add more if needed. Why does your bread burn each time, even though you follow the instructions to the letter and set the oven at the stated temperature? Not all ovens are created equal - for example my commercial, convection ovens in my training kitchen are so heat efficient I find I have to reduce recommended cooking temperatures by 10° to 15°C. Your own ovens may need to be adjusted up or down as required. And then there is maybe the biggest lesson of all . . . use what you have previously learnt, be it a technique, a method, etc and learn to apply it elsewhere. For example, if you have ever made a salad like cucumber with sour cream and dill and then make a chilled cucumber soup and there is something missing . . . guess what? Dill goes extremely well with cucumber full stop, it does not matter if it is a soup, a salad, etc . . . . and for that matter so does sour cream. It is taking what you have done previously, what you have learnt and applying it elsewhere. Another example would be Aioli, which is basically a strong garlic mayonnaise. Made it before? Love it? Love baked or roasted garlic as a spread on French bread also? Why not roast the garlic for the Aioli instead of putting it in raw? The salmon needs to be heated . . . strain and add to the finished cream sauce. The salmon is already cooked it just requires thorough re-heating. Why not mix it with the hot pasta? Well it may not reheat thoroughly and is also more likely to break up too much. Add the chopped dill at the very end, just prior to serving, so that it stays a nice sharp green colour, keeps the flavour fresher and less has to be added (remember just a light sprinkling at first and then a little more if you think it needs it) or place some on the table to allow people to add more if they wish. Filo pastry cooks quite quickly, so do you cook the ingredients first or use them raw? In this case, pork needs to be cooked thoroughly so it would be best to cook them all first. Cook it as you would any savoury mince or stir fry, drain thoroughly so you dont get soggy pastry and fill and shape as suits you - in a ball, a bundle, a roll, etc. Chopped or sliced ingredients? Up to you. Do you prefer your mushrooms sliced so you can see them, or do you prefer them all minced up? What seasonings do you use? What do you like? What do you have at hand? It could be plain salt and pepper, maybe some green peppercorns, maybe given the ingredients use Asian seasonings, like soy sauce or Thai fish sauce in place of salt, maybe some Thai sweet chilli sauce, Worcester sauce . . . we all serve apple sauce with roast pork, why not add some diced apple in there? What if you add the apple and you dont like it? Let me tell you a secret. Professional chefs would never place a new dish on the menu and serve it to their guests without having previously tried it. Make your basic mix, make a small version up with the apple, taste it and be your own critic! You had this soup at a friends and cant seem to get the flavour and intensity? Carrots and orange is a marriage of flavours made in heaven! Chicken cooked with carrot juice and orange is a dish you have to taste to believe! But the key to all this and many dishes that use juices, wines and other liquid flavours (Port, Madeira, Whisky, etc) is that you want the flavours of what you are using not everything swimming in liquid. The secret here is to reduce the liquid first. Place the juice in a pan and simmer until it reduces down to approximately one-fifth of the original amount. The water content is evaporated off and therefore the flavours are intensified. What does this have to do with the carrot and orange soup? From reading all that came before, most of you will be correctly thinking "Hmmm, make a carrot soup, reduce the orange juice and add it right at the end. Not enough orange? I know! reduce some more and add more in". Those of you who were thinking along those lines are now getting into the Cooking without Recipes frame of mind and are starting to use those senses. Well what can I say here? To start with use the best ingredients you can afford to. But remember not all olives are created equal and cheap stuffed olives are no real replacement for good Kalamata olives. A good smoked bacon is not the same as the cheap, watery budget brand at the supermarket. The lesson here is, use watered down ingredients and a watered down version of the dish is the likely result. Roasted orange vinaigrette? Roast the oranges the same way as you do for garlic, but the time will need to be increased because in this case you are roasting to intensify the flavours by drying the orange out. (Remember the reducing of the orange juice? It is the same principle applied slightly differently). Remove the peel from the oranges, (set some aside for later) place into some orange juice and reduce as before. Make the salad, add in the roasted oranges, cut into slices or segments, finish with some of the roasted peel cut into fine strips. What does all this tell us teach us? That sometimes there are times in cooking when we need to rely on our senses, that sometimes the greatest cooking skill that can be learnt is not to be afraid of experimentation, that to achieve perfect dishes we must be prepared to practice them, to adjust them to suit our own tastes, to use the best ingredients to get the best results . . . and the best is not necessarily the most costly! 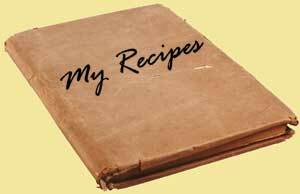 Having written a longer than normal column on Cooking without Recipes it is perhaps ironic that it is dotted with links to various recipes! But hopefully those few recipes will help you learn and use them as a springboard for other ideas, using the techniques to apply elsewhere for many, many happy and delicious meals.